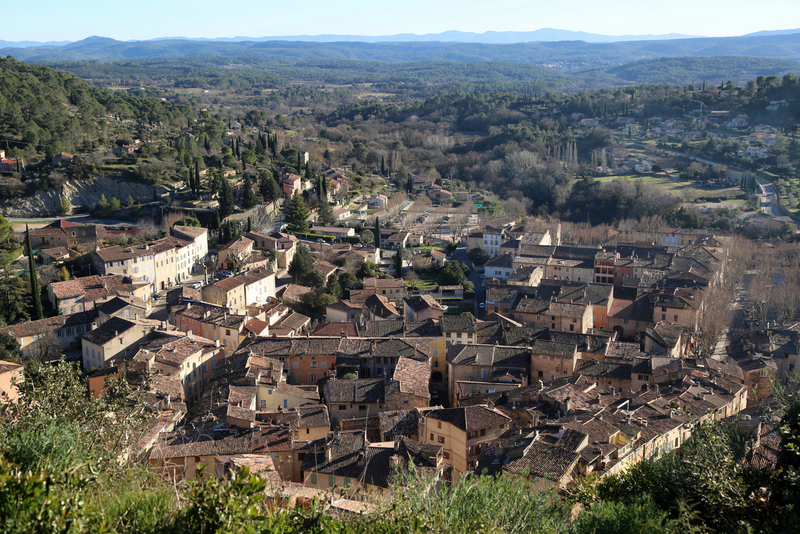 Cotignac, a charming Provincial village, has a distinctive climate. Its location is sheltered beneath the cliff “Le Rocher” that protects the village from the northern winds. The village is beautiful without being pretentious. With its 2500 inhabitants it is just the right size, with a good blend of locals, new residents and tourists. It is hardly a coincidence that Cotignac has attracted many artists through the years. One of Cotignac’s advantages is the unique and well functioning village square. This charming center comes to life before seven in the morning, with its small shops, bars, cafes, restaurants….. The village has two bakeries, and a small fish market, butcher and delicatessens within short walking distance from the house. The local grocer can provide all your basic necessities. The weekly Market starts early in the morning every Tuesday and is a “must” during your stay. Some guests might prefer the pulsating nightlife of the Riviera. In Cotignac people say ”bonne nuit” around 10 or 11 p.m. and would rather avoid listening to the neighbour testing his stereo speakers in front of an open window, preferring to be lulled to sleep by the sound of frogs making their own quiet music below the cliff. For us, there is something absolutely unique and special about Cotignac, this charming village in the heart of Provence. The inviting and relaxing atmosphere makes you feel immediately at home, and truly lets you enjoy the Good Life in Provence.